People vary in more ways than gender, race, and size. At Conformis™, we believe that optimal implant fit and performance requires an individualized approach. Customizing your implant with Conformis™ begins with one simple philosophy: Make the implant fit you rather than force you to fit the implant. Conformis™ can take an individualized approach – where nobody else does – using proprietary iFit® image-to-implant™ technology. 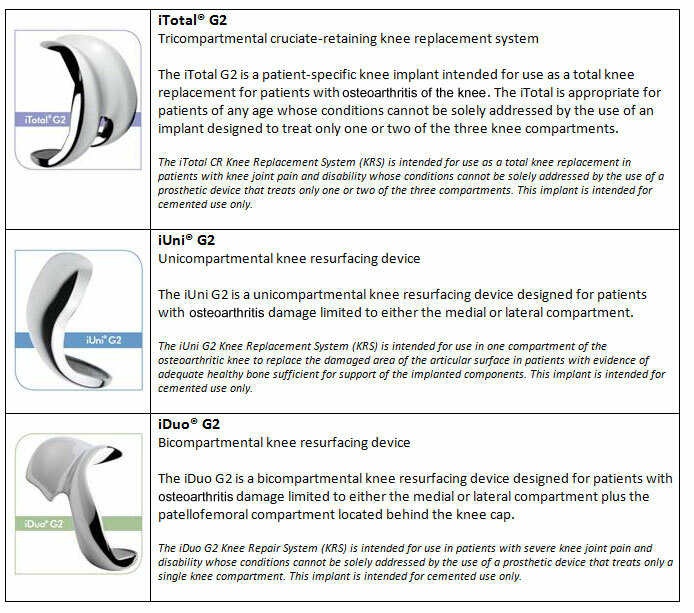 The iFit converts a CT scan of your knee to a 3D model, and uses that model to design your individual implant and all of the single use, surgical placement guides (called iJigs ®) for the surgeon. 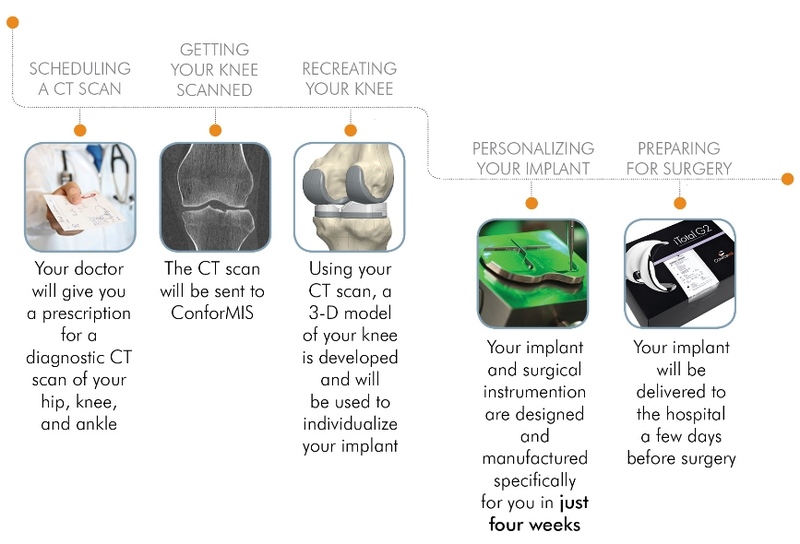 Conformis™ creates a uniquely designed implant for each patient, and there’s nothing “off-the-shelf” about it. Only a licensed physician can help you determine the appropriate medical treatment. There are potential risks to knee replacement surgery, and individual results may vary. Before making any decisions concerning medical treatment, consult your physician regarding your options and the risks of those options. The longevity, performance and feel of any knee implant will depend on various factors, including your physical condition, your activity level, adherence to your physician’s instructions, and other factors. Fill out the form below to reach Dr. Johnson online, or call (720) 506-2458 for immediate assistance. Dr. Derek R. Johnson is a board-certified fellowship trained orthopedic surgeon who specializes in total and partial knee replacement and knee preservation surgery. Dr. Johnson has helped thousands of patients achieve a better quality of life through a multi-disciplinary approach to knee care.